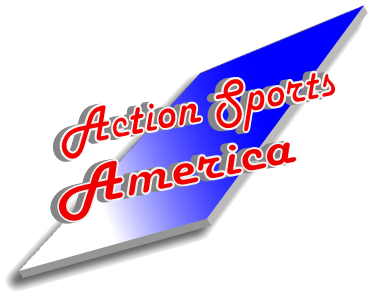 Working with Doug Verb and Action Sports was a great experience. The Miami Herald partnered with Macy's for the World's Largest Heat Jersey during the NBA Finals. The promotion invited folks to visit Macy's and receive a keepsake photo with the Giant Jersey. The jersey was featured in an ad campaign…creating increased traffic to the featured Macy's store. People were running from across the parking lot to sign our Giant Football Jersey... we positioned it by our merchandise kiosk and after they signed, they were in our store... We set an all-time UCLA sales records! …and then we decided to do a Giant Basketball shirt. I’ve utilized the “World’s largest Jersey” for brands such as McDonald’s, Tecate, Buffalo Wild Wings, and each time, the response from targeted audiences and fans is contagious. Not only does the “Jersey” serve as a traffic driver at retail, it turns everyday fans into celebrities. How many times are fans asked to provide their autograph? The life cycle of the “Jersey” lives on long after the event has expired. Whether tied to a presentation back to the team(s) or a cause in which monies are allocated to charities per signature, the “Jersey” covers many bases in the marketing and promotional mix. Our giant Pacers Jersey was everything you said it would be. We received incredible (media) coverage, it looked great, and everyone wanted to be part of the excitement. Thousands of fans -- our readers -- lined up to sign the Jersey... it was very thrilling. We’ll order the World’s Largest Colts Jersey as soon as possible. It was fantastic! A lot of people were raving about it last night and even still this morning. I am beyond impressed. Thank you so much to you and your production team for getting this done on an impossibly tight schedule.